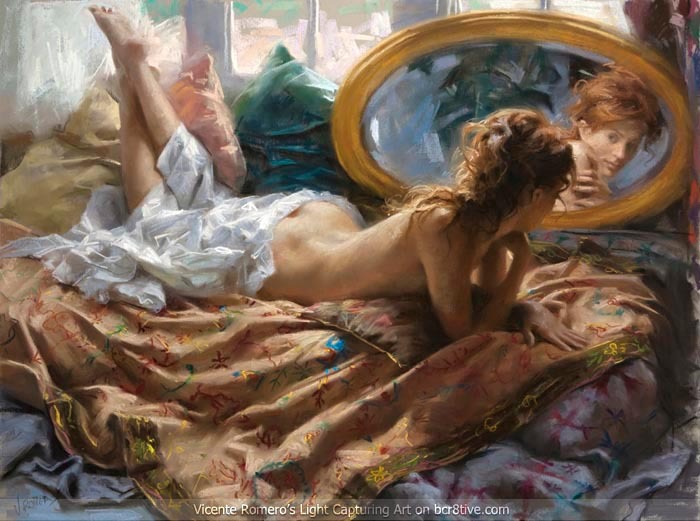 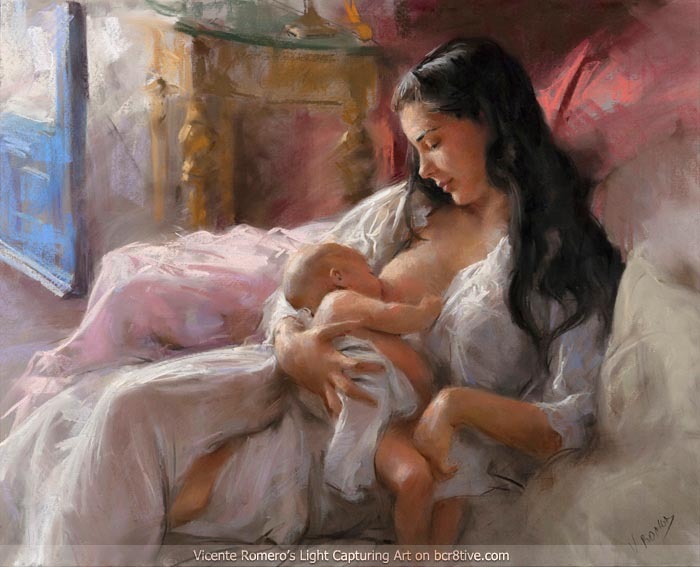 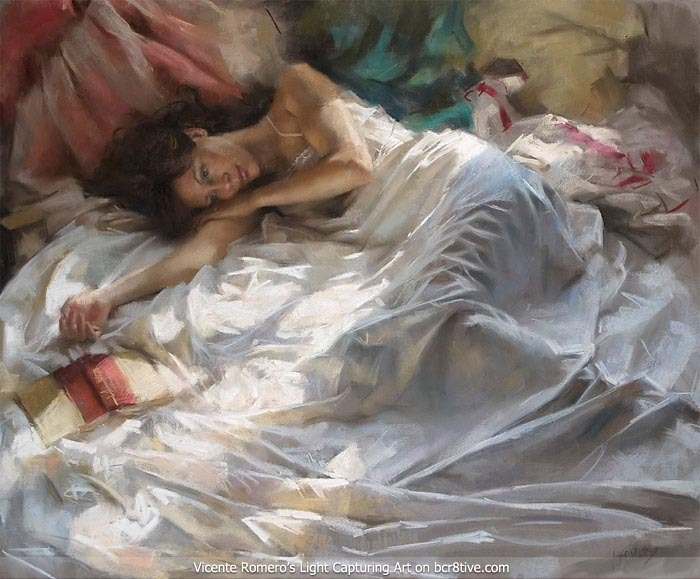 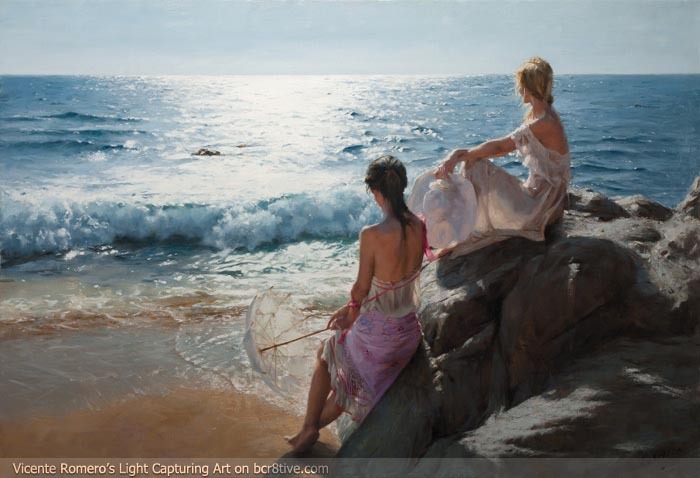 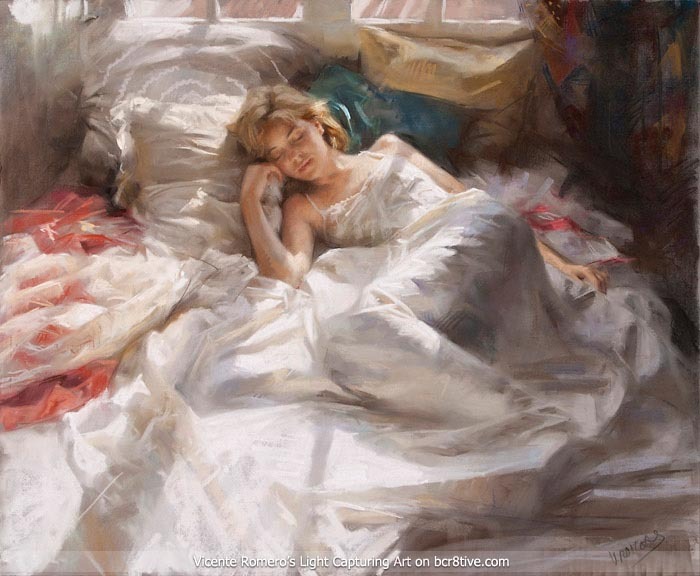 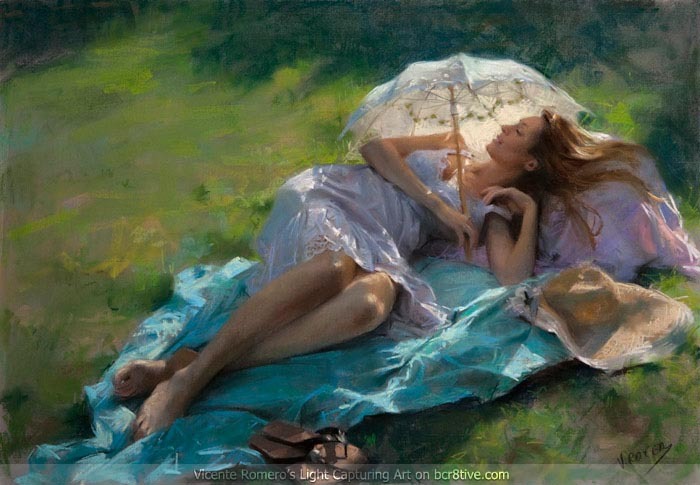 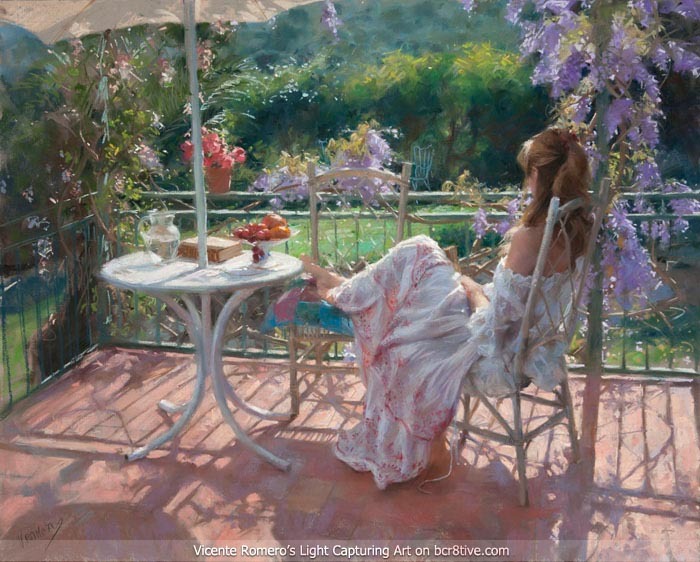 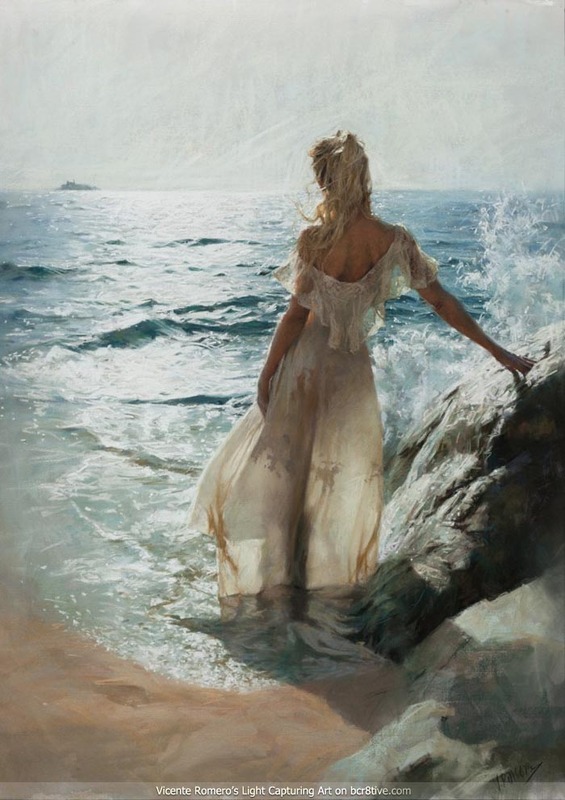 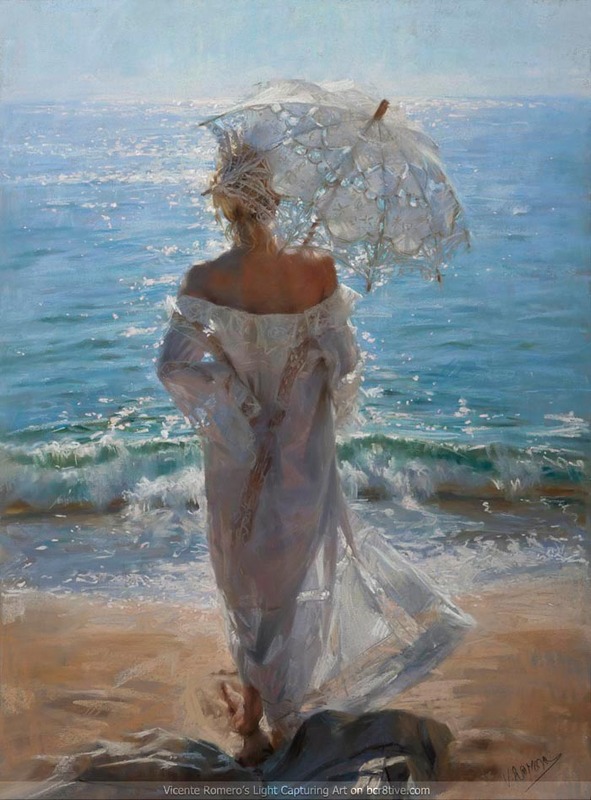 Vicente Romero is a Spanish born artist, that produces engaging portrait works from his studio on the Costa Brava in Spain. 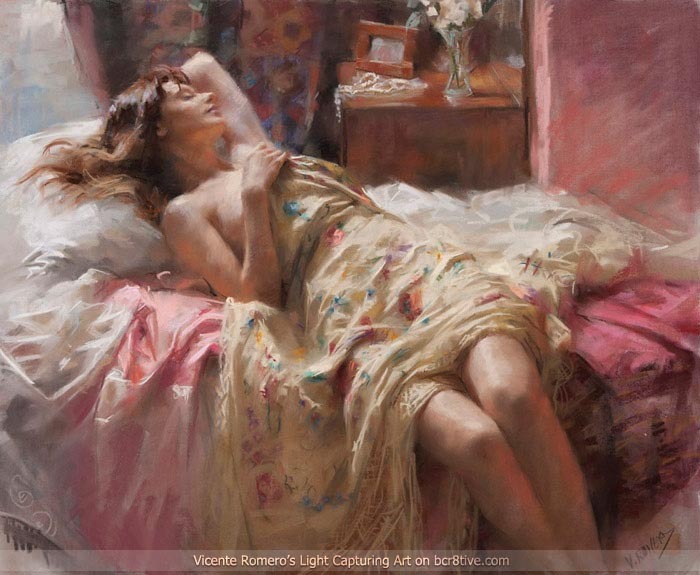 Vicente holds a degree in sculpture but has spent the last years exploring fine art painting. 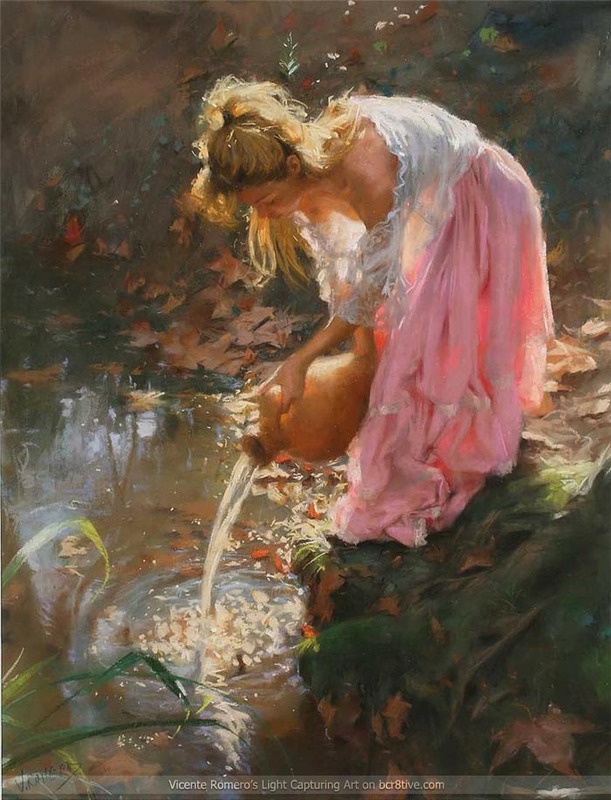 His first works were created entirely in oils and then he began to branch out and explore pastels. 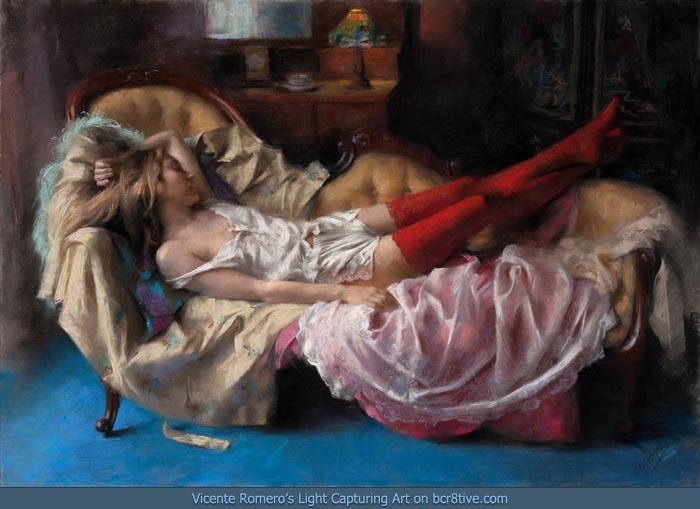 He claims that he finds pastels to be more direct, more spontaneous, and provides him the opportunity for “unrivalled delicacy”. 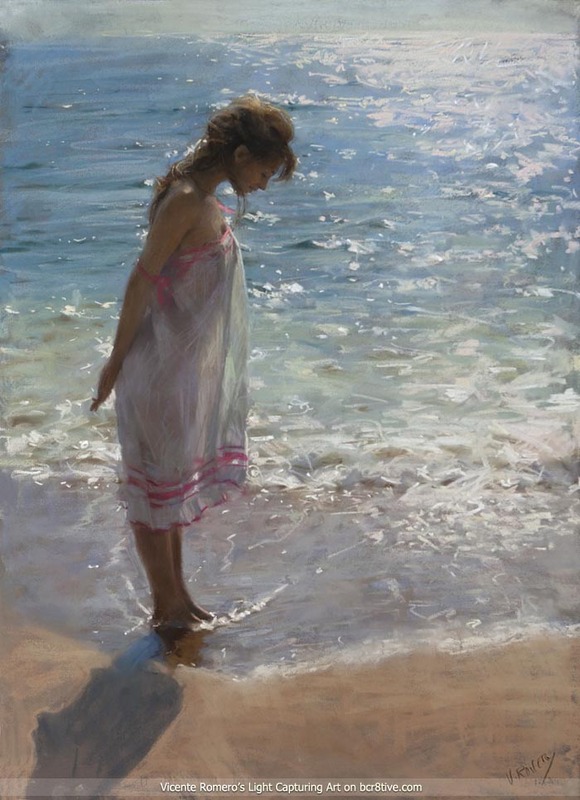 After spending the past 4 years working in pastels, he has also been returning again to oils. 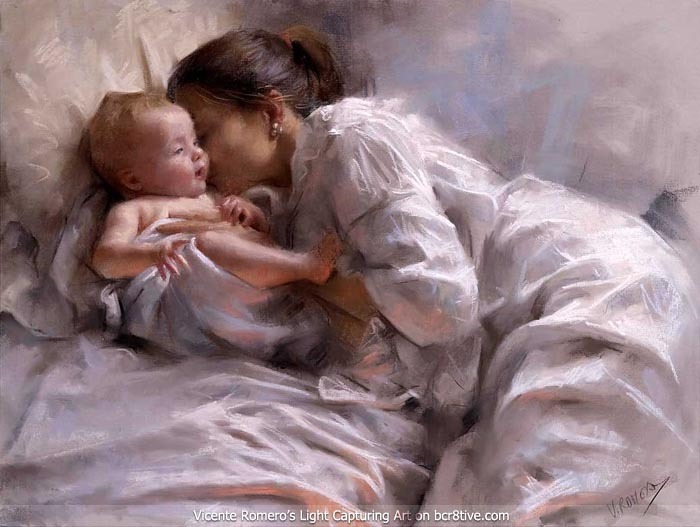 From my current vantage point, I cannot tell the difference. 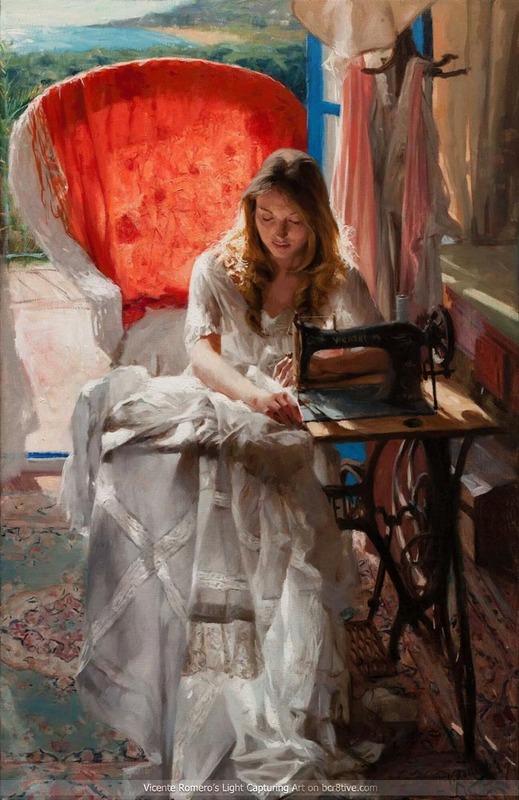 Surely in person, the variants in textures and surface would be evident, but rendered on the computer, his technique and style is interchangeable between the mediums. 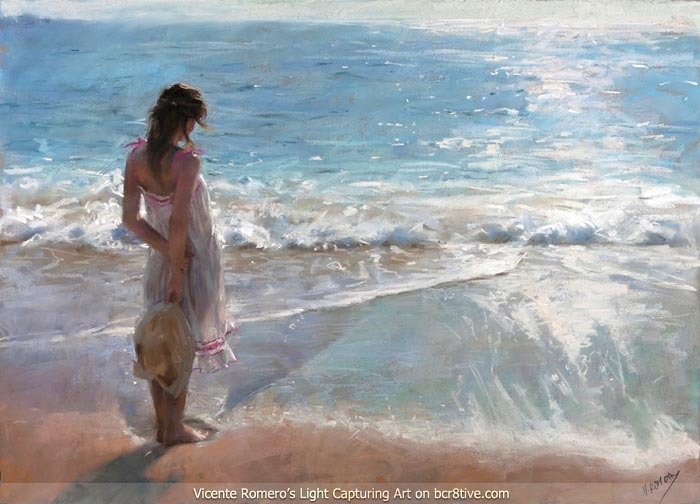 Vicente has a special eye and talent for capturing light and creates remarkably luminous works of art. 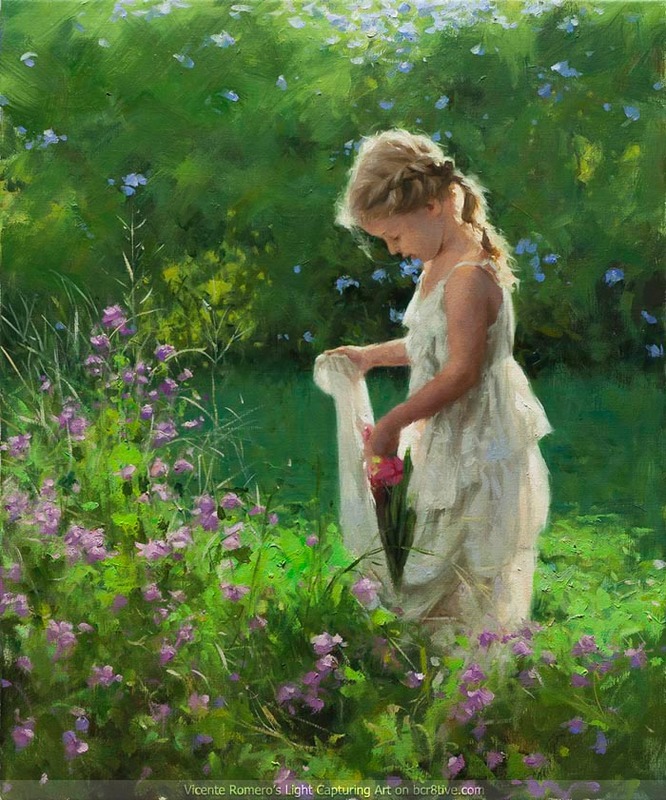 He has a large body of work that you can see on his website, but these are my personal favorites. 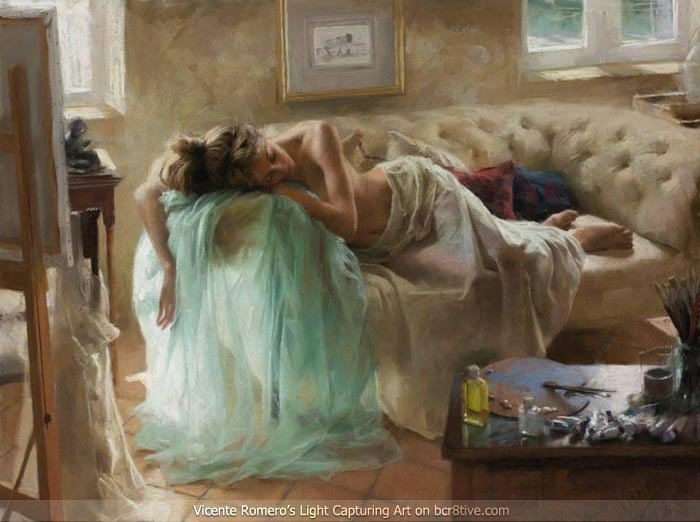 They’re relaxed, intimate & very feminine.